If you’re among the thousands of people in Calgary who are suffering from hearing loss, it’s important to know that you’re not alone. Hearing loss can be a sudden or gradual decrease in your overall hearing abilities and it can happen at any time. At Audiology Innovations, we’ve helped adults of all ages find customized hearing loss solutions that work for them. If you’re ready to take a proactive approach to your hearing loss, contact our certified hearing care professionals today! Who Is Susceptible To Hearing Loss? Hearing loss can happen to anyone, however it is most often found to occur in older adults. According to recent studies, approximately one in three people between the ages of 65 and 74 have hearing loss, and nearly half of the people over the age of 75 have difficulty hearing. If you feel you or a loved one may be suffering from hearing loss, contact the audiologists at Audiology Innovations today. 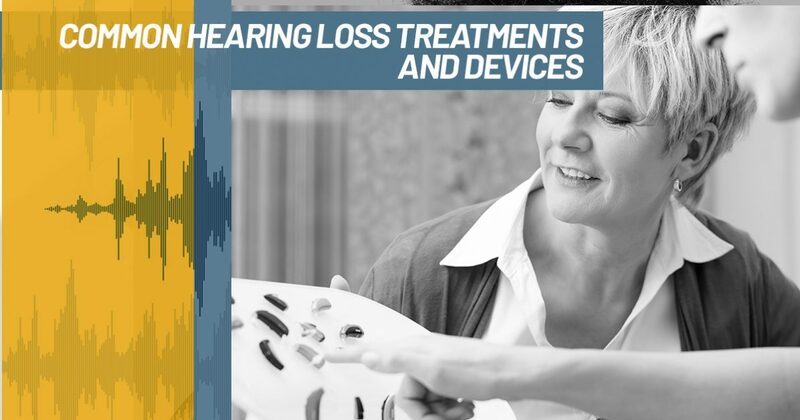 We’ll conduct a thorough hearing loss evaluation to properly diagnose your condition before recommending the best type of treatment solution or hearing device for you. 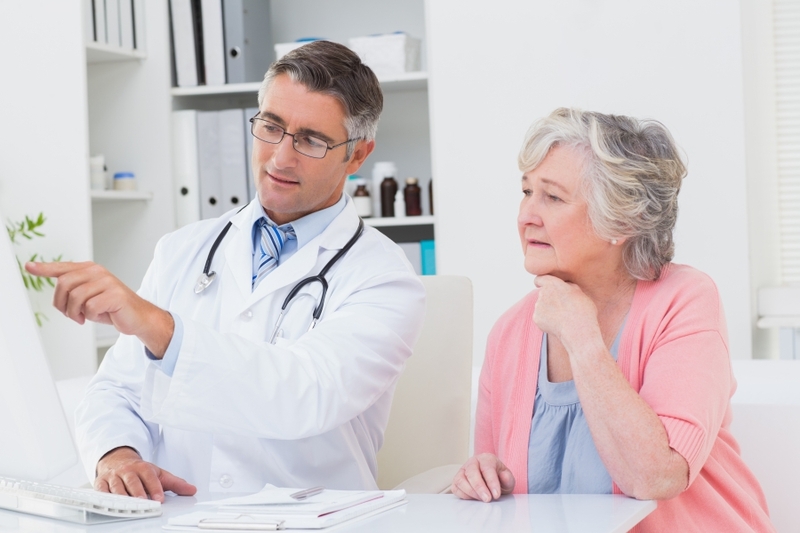 Your hearing loss treatment will depend heavily on the results of your hearing loss evaluation. While there are a variety of hearing loss devices available on the market today, some of the most common devices are found below. Hearing aids are small electronic devices that you wear behind your ears to improve your hearing. Hearing aids magnify sound vibrations that enter your ears and consist of three basic parts: a microphone, an amplifier, and a speaker. If you think you or a loved one may benefit from hearing aids, visit your local audiologist. They’ll be able to help identify the the extent of your hearing loss and they can recommend the best type of hearing aid for you. This type of hearing aid consists of a plastic case that is worn behind the ear. The plastic case is connected to a plastic earmold that fits snugly inside of the outer hear. 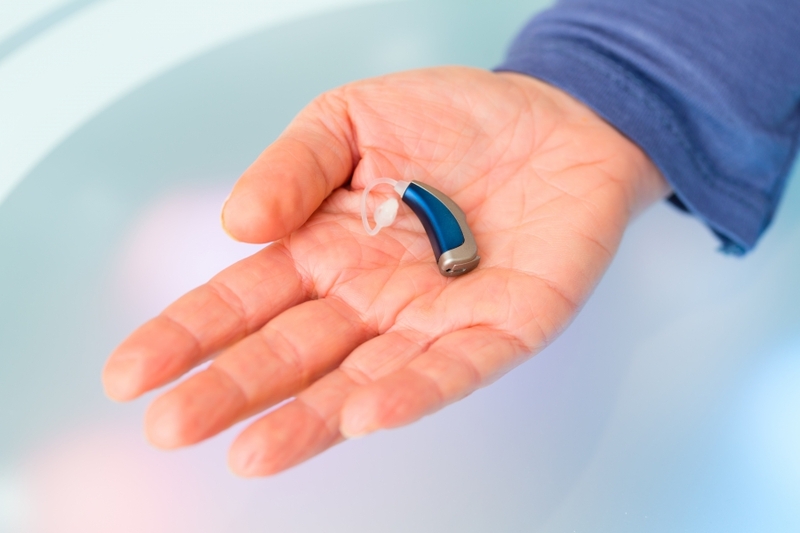 The electronic parts of the hearing aid are held in the plastic case behind the ear, which is where external sounds are magnified before entering the earmold. This kind of hearing aid fits completely inside the outer ear and is most often used for mild to severe hearing loss. Some in-the-ear hearing aids may have added features, such as telecoil, installed in them. A telecoil is a small magnetic coil that allows the user to receive sound through the circuitry of the hearing aid, instead of through a small microphone. If you’re looking for an audiologist near Calgary to help diagnose your hearing loss, the experts at Audiology Innovations can help. When you visit our hearing loss facility, we’ll conduct a hearing loss evaluation to determine the severity of your hearing loss. We’ll then work with you one on one to find the best hearing loss solution for you. Take our hearing loss quiz online or contact us today to schedule an appointment!